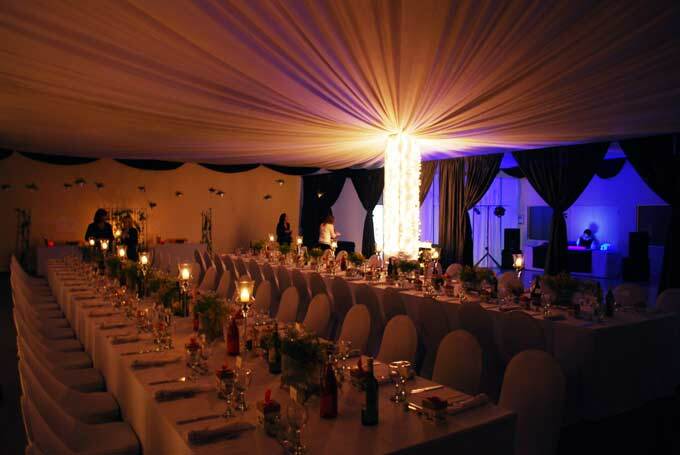 Durbanville Conference Centre started in 2000 and has become a major role player in the northern suburbs of Cape Town in the field of affordable and value for money conferencing. The Durbanville Conference Centre situated in Central Durbanville offers “good value for money” Conference Facilities and Equipment. Whether it be a conference, training, product launch, meeting, wedding or function, we are able to assist you in making it a successful one. We offer nine air conditioned conference venues, of different sizes and a large auditorium that is converted into a beautiful draped function hall. Rooms can accommodate from 2 delegates to the large venue that can seat up to 240 cinema style. We can assist you with accommodation should you need to find your delegates a place to stay for the duration of the conference as we work in association with all major guesthouses in the area. Be assured of our best attention, service and friendly attitude during your experience at DCC. Our rooms offer the usage of Standard Audio-Visual Equipment. Fitted digital projectors available for power point presentations.